Last night, the Northern Academy of Performing Arts put on a spectacular performance of Hello Dolly! at Hull truck theatre. 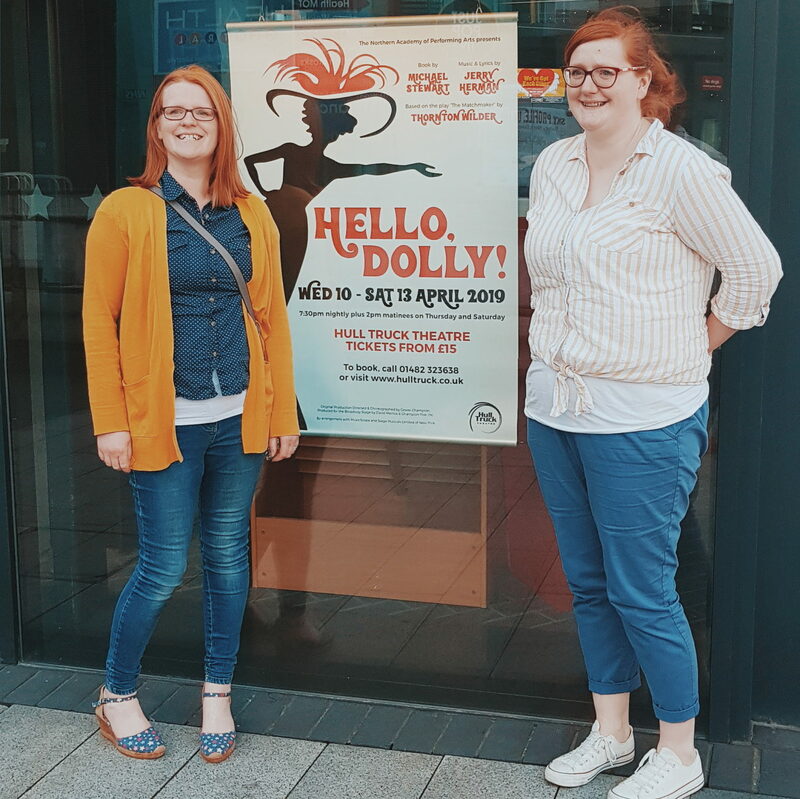 Joined by 2 of my sisters, we were there for opening night and were simply blown away by the incredible talent, stunning voices, creative set and gorgeous costumes that came together to produce a wonderful evening for all. I have never seen Hello Dolly! before, but it didn’t take me long to fall in love with this fantastic tale of meddling, romance and big hats! 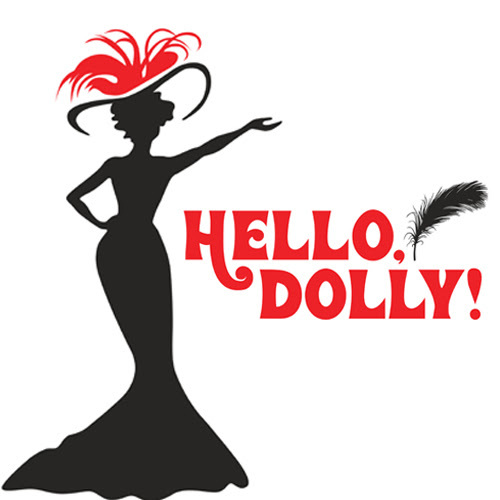 Set in the 1890s in New York City, Hello Dolly! tells the story of the mesmerising widow Dolly Levi, who has turned from socialite to matchmaker (and everything in between). Currently on her books are the grumpy “half-a-millionaire” Horace Vandergelder and a young artist who is in love with Horace’s weepy niece . The play opens with a scene purely mimed to music and sets the scene of the era and Dolly herself. It was great and, from there it just got more and more enjoyable. Dolly later arrives in Yonkers to meet with both Horace, and his niece and her artist interet! Never short of advice and opinion, she ends up sending Horace to New York City to meet with 2 women, ahead of his plans to propose to Irene Molloy (widow and owner of a hat shop there). However, during his leaving she also encouragement his niece to also head to the big city to pursue work and prove herself, and his rather dishy clerks (my sisters words not mine) Cornelius and Barnaby, who were expected to mind the shop, foolishly decide it’s time they had a night off too – in NYC of course! Avoiding crossing paths at all costs, the main characters set out to pursue their desires, dreams and love interests, but things soon spiral into comedic chaos and musical mayhem that will leave you in stitches and see Dolly at the heart of it all – meddling and matchmaking, with her own secret agenda. I really loved the essence of romance, the respect of calling each other by Mr and Mrs, and the majority of the songs that make this such a great musical! As I say, this is the first time I have ever seen Hello Dolly! but that didn’t matter – It is a story that picks you up and takes you to a time where a hat with too many embellishments can be seen as provocative, a man needs to marry to have his house kept and you can see a stuffed whale for only 20 cents! It is a time where a man asks if he can hold your waist, and a tale of good old fashioned romance and comedy which is easy to follow and a joy to watch. to joyously clean out the drain in the sink…(it gets worse!) and how at that time it was so socially acceptable to say those things. It really made me laugh. I could point out lots of things we loved, but suffice it to say, we were all so impressed with the performance of all involved – they sang amazingly, performed wonderfully and it was such a treat to watch. Hello Dolly! is a brilliant musical and it was great to spend time seeing it with 2 of my sisters. 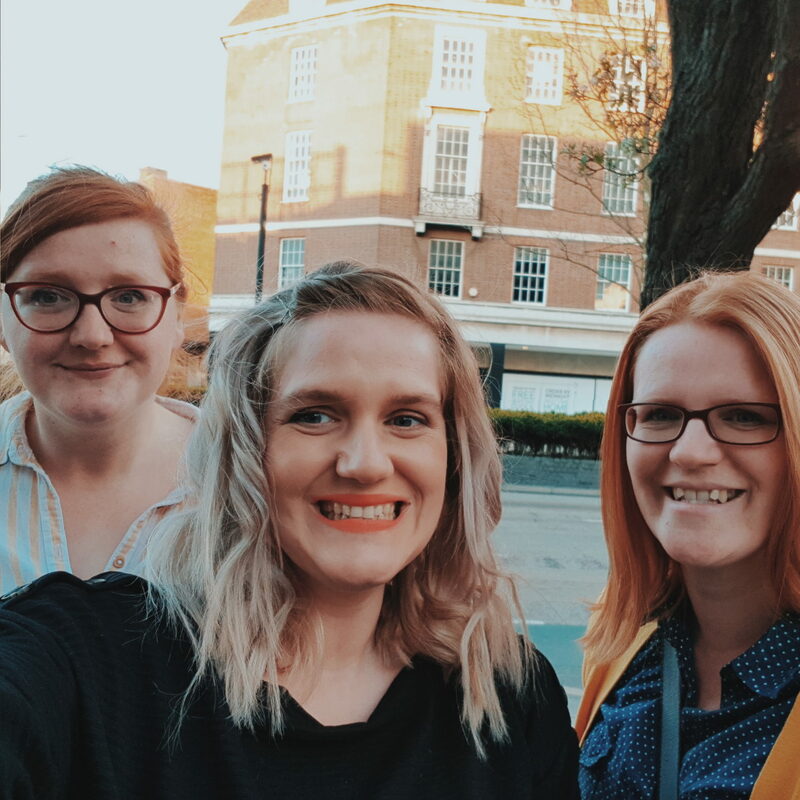 We were all into the costumes, the whit and the music and, just generally watching something that we all loved and found enjoyment and humour in – it was lovely. I would happily go see this again and again – it was such a joyful and fab night. Hello Dolly! will only run at Hull Truck Theatre until this Sat (13th April) so you need to be quick if you want to catch her! Ticket prices range from £15 – £17 and you can book by clicking here or calling the Box Office on 01482 323638. *Thanks to hull truck and NAPA’s for inviting us along! My sister is studying historical costume and thoroughly loved seeing it in action. Next Post Moments in Motherhood!